Your little star will be dancing and twirling to the magical songs from the hit movie Frozen using precious costumes and props, while joining us on an enchanting journey with princesses, princes, snowmen, reindeer, trolls and more! Winter Magic crafts will be made everyday. 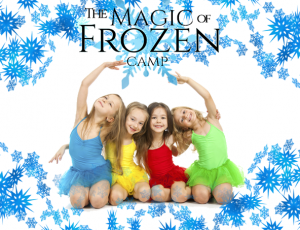 Don’t miss the fun of this extremely popular Frozen extravaganza! Your little princess will love dancing to their favorite cherished tunes from tales such as Cinderella, Sleeping Beauty, Beauty and The Beast, Aladdin and The Little Mermaid. Your fairytale princess will learn adorable ballet routines to popular Disney Princess hits, dress in sparkling princess costumes, and create a delightful princess dance craft to take home to treasure forever. 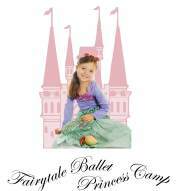 This is an adorable week of precious little princesses dancing! Your favorite little Star will dance to Broadway Disney hits including The Little Mermaid, Beauty and The Beast, The Lion King, and Annie. Campers will spend this fun-filled week learning age appropriate songs and dances that are currently playing on Broadway. Each day is filled with an energizing dance warm-up, Broadway routines, acting games and exercises. 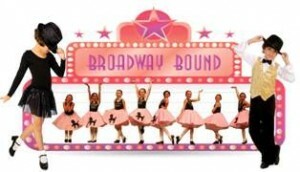 Watch them shine in a memorable Broadway musical revue! The perfect adventure camp for both boys and girls. Your little pirate will enjoy searching for hidden treasures, learning fancy footwork and sword twirling choreography while dressing in delightful pirate costumes. Activities include daily themed obstacle courses, pirate songs, making your own pirate ship, and delightful pirate crafts. Ahoy Maties! Off to Neverland! Rah! Rah! Rah! Your mini cheerleader will have the time of her life learning cheers, motions, chants, drills, stretches, jumps and a high-energy cheer dance with pompoms. 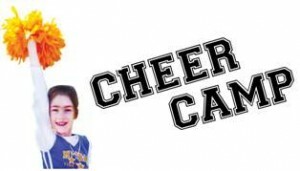 Little cheerleaders will make a spirit stick cheer posters and take home her very own megaphone! Cheer week is super fun! 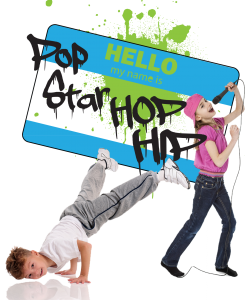 Be a part of the latest craze, learning beginner style dances choreographed to your favorite pop stars! We’ll teach you the moves to dance on stage like Taylor Swift, Selena Gomez, Katy Perry, Carly Rae Jepsen, Demi Lovato, Ariana Grande, Austin Mahone, Adam Levine, Kelly Clarkson, Madison Beer and One Direction! The culmination of this camp is the showcase on the final day of camp where family and friends will marvel at what you have learned in one short week! Joy of Dance pop stars finish the week with a rock-star style sell out concert! Come ready to rock! Camps are 1-week, Monday-Friday Camps are offered in July and August Ages 3-5 and ages 6+ Call us today to book your camps for this summer!